Now, then, in addition to being the Word of God—and, really, precisely as the Word of God—the Psalms also become the Church’s words of prayer (and a sacrifice of praise), when they are spoken back to God and confessed before the world as words of faith. Indeed, such “confession” (which, if one considers the Greek word for such confession, means “to say the same thing”) is the very voice of faith and thus the fountain out of which all faithful prayer flows; because, in order to “pray, praise, and give thanks,” as the Catechism and the Second Commandment teach, it is above all necessary that the Word of God be heard and received in its truth and purity, and that Christians do and speak all things in harmony with it. The people of God are thus given to say the same thing that God has said to them: the confession of sin (as in Psalms 6, 32, 38, 51, 102, 130, 143), and the confession of faith (as in Psalms 2, 96, 97, 98, 110, 148–150); in either case to say what is true and right, because it is what God has said. Such confession of the Word of God, and so also the confession of the Psalms, is a priestly-sacrificial service of God’s people—the sacrifice of repentance, of faith, of thanksgiving, and of intercession for others. To confess what God has done and said is the foremost sort of praise and thanksgiving; and it is on the firm foundation of what He has done and said that one petitions Him according to His promise for the future, not only for one’s self, but also for the Church and for the neighbor. In the case of the Psalms, in particular, all of them to some extent or another (some more than others) served the priestly worship of the Temple in the Old Testament; many of them, in fact, originated within that liturgical context, specifically for that purpose (especially Psalms 118–134). They are thus ideally suited for the Church’s priestly-sacrificial use as prayers of praise and petition, because they present the Word of God in a poetic and lyrical form that is most appropriate for and conducive to worship. Yet, for all that, the Psalms do not cease to be the Word of God, always speaking (liturgically) to His people. Whatever God speaks to His people, it is always spoken in and through the Son of God: the Word of God, Who has become flesh in the Person of Jesus Christ. It has been mentioned that the New Testament and the early church cited the Psalms primarily as Messianic Prophecy. By this was meant, not only that specific Psalms referred to specific events in the life and Passion of the Lord Jesus Christ, but that all of the Psalms in their entirety were Christological, and that they were fulfilled in the Incarnation, life, death, and Resurrection of the Christ. The point is that all of the Psalms (both individually and collectively) are ultimately of Christ. Some of them were spoken by Christ Himself, as it were, though voiced through the mouth of His servant David; others were addressed by the Father to His Son. But all of the Psalms, again, are inherently Christological, and, as such, they find their meaning and purpose only in Christ Jesus. This Christological character of the Psalms was one of Dietrich Bonhoeffer’s most important points and emphases, as well (cf. Bonhoeffer 13–21). By extension, it is also important to understand that those who pray the Psalms do so in Christ (and, as such, “in the name of Jesus”). Which means, further, as in the case of the Our Father, that the Psalms are always the prayer of the entire Church in Christ (cf. Bonhoeffer 36–42), in contrast to the private voice or expression of an isolated individual. Not to say that one cannot pray the Psalms alone, “in the closet,” as it were; but even under such circumstances, the one who prays the Psalms in faith is therein united with Christ in His prayer, and therein united with the body of Christ in heaven and on earth, in all times and places. What is more, not only does the individual thereby pray with the entire Church of God in Christ; he or she also prays for the Church—indeed, for the entire world, for which Christ died—as, again, in the case of the Our Father. As the Psalms are first and foremost the prayers of Christ, so it is that, when His Church prays the Psalms—or when any of her members pray the Psalms—the body of Christ is praying with the Head; the bride with her Bridegroom. According to their Christological and ecclesiological character, one does not pray the Psalms because they happen to express his or her personal feelings, but in order that the Psalms might shape one’s “feelings,” so to speak—or, to say it better, one’s faith and piety—to correspond with the Word of the Lord and with the proper and appropriate prayer of His Church. It is for that purpose that the Psalms will be included in the proposed Prayer Book. Thus, it is not so much a question of what “we” should do with the Psalms, but rather what the Psalms shall do with us. If all of this sounds like rather heady and ambitious stuff for a few verses of a Psalm each day, it remains yet to consider the way in which the Psalms are to be used, and how they function in that capacity. As already indicated to some extent, the way in which the Psalms have been used by the Church has not been consistent throughout her history. Various resources can give you the details of that history with respect to daily prayer and the Psalms, but for the purposes at hand a brief thumbnail sketch will do. In the worship of the early church, the Psalms were used quite selectively at first. Particular Psalms were used at particular times, because they were deemed to be especially appropriate for the occasion; and the same Psalm would then be used for the same such occasion whenever it might occur, as for example every morning or evening. The emphasis was on the specific content of the Psalms and on the way in which they spoke in their liturgical context. Over time, especially with the rise of monasticism in the fourth century and beyond, a greater stress was placed on the use of the entire Psalter—as much of it as possible, as often as possible. This development went hand-in-hand with a shift from an emphasis on corporate daily prayer to an emphasis on personal devotion. As such, there was a corresponding stress on personal meditation following the prayer or recitation of each Psalm. Thus, for example, when the monks would gather to go through the Psalms, there would be a period of silence following each one, so that each of the monks would have that opportunity for personal meditation on that Psalm before proceeding to the next. Regrettably, there gradually developed an understanding of the Psalms as a kind of “currency” of works-righteousness. It was thought and said that God simply liked to hear the Psalms recited for their own sake, and it was the special obligation of the monks to keep God happy by repeating the entire Psalter every week. The period of silence in between the Psalms disappeared altogether, because they were no longer spoken for the people to hear them and learn something from them, but offered to God as a meritorious work. As such, the Psalms were no longer offered as a sacrifice of praise and thanksgiving, but as an attempted sacrifice of propitiation (in very much the same way that the Lord’s Supper had gradually become the Medieval sacrifice of the Mass). 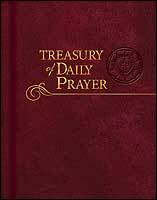 Thankfully, in the past fifty years, there has been a resurgence of a more salutary use of the Psalms in the practices of daily prayer. Especially since the Second Vatican Council of the Roman Church in the mid-1960s, it has become apparent that less may be more when it comes to the daily prayer of the Psalms. Thus, instead of trying to include as many Psalms as possible over the course of the day or week, there has been a renewed emphasis on hearing the Psalms as the Word of God, first and foremost, and then also allowing time for thoughtful meditation on that Word. Martin Luther would have heartily approved such developments, as one may gather from his comments on prayer in his various devotional writings. By this approach, the Word of God becomes the prayer of faith, in the way that has been discussed in this paper; so that one may pray the Psalms from a heart of faith and with a mind of understanding (cf. 1 Corinthians 14). By this way of thinking, what might be said or concluded regarding the important place and purpose of the Psalms in daily prayer, specifically as they shall be presented in the proposed Prayer Book? In the first place, the limited number of verses included from the Psalms each day should not be looked upon as a limitation or weakness, but as a strength and benefit. The focus and concentration is not on great quantity, but on the quality of each Psalm (and each verse of the Psalm) as the Word of God. 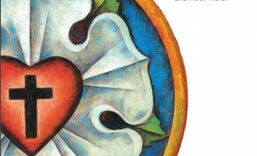 By the same token, the daily Psalms will have been chosen and appointed selectively, thoughtfully and deliberately, in order to engage the mind and heart of the Christian in connection with the Readings and liturgical focus of the day. The regular and repeated use of those Psalms, year after year, with patience and the discipline of faith, will allow those small portions of the Psalter over time to catechize the Christian in the Word of God and prayer (in contrast to the mind-numbing burden of a gross repetition of the entire Psalter each week, or each month). As the daily Psalm is read or heard, it is first of all received as the Word of God fulfilled in Jesus Christ and given to the Church (as the people of God) by His grace. And having been heard and received as such a Word of God, it is then (even simultaneously) prayed as the Church’s confession of the faith and as the daily sacrifice of thanksgiving. What is more, so to pray and confess and give thanks—both for and with the Church of God in Christ—leads also to the priestly service of intercession for the world; which, in turn, will lead the Christian from prayer to his or her vocations in the world, in order to serve those very neighbors for whom prayer has been offered, and for whom the Savior of us all has sacrificed Himself. Thus are the Psalms among those right sacrifices and whole burnt offerings which are daily offered by faith upon the Altar of our Great High Priest—even Jesus Christ our Lord—in the midst of His new Jerusalem. This entry was posted in Books, Post, Treasury of Daily Prayer and tagged Christian life, prayer, Psalms. Bookmark the permalink.